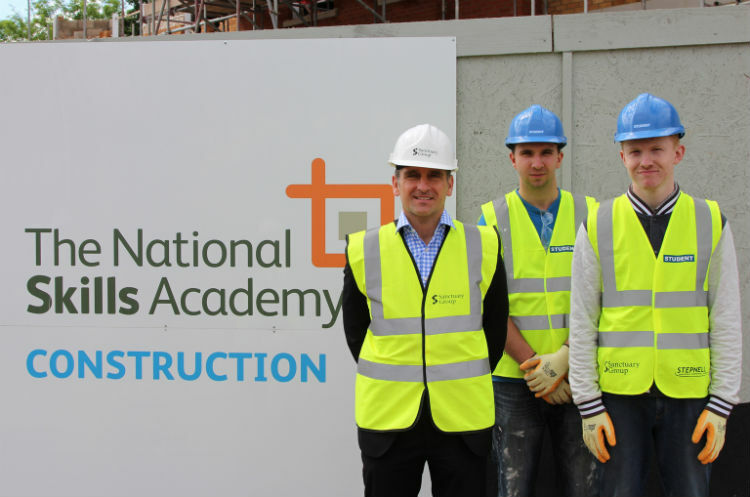 Sanctuary Group has joined forces with local partners in Worcester to set up a formal training academy at its development in St John’s, creating genuine career prospects for local people within the construction industry. The leading housing and care provider is building a 60-bed care home, a 60-unit extra care scheme and a mix of 40 close care apartments and bungalows at the £22m Sanctuary Grove site with its construction partner Stepnell, and from the outset, the partners pledged to offer employment and training opportunities to local people at the development. 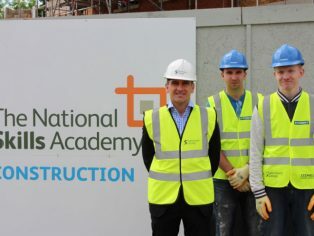 The site is one of Sanctuary Group’s National Skills Academy for Construction accredited developments, and in addition to two local students who have just completed work experience placements and three young apprentices learning a new trade at Sanctuary Grove, the Group has now joined up with Stepnell, Jobcentre Plus and Worcester College of Technology to set up a sector-based work academy (sbwa) at the site. The sbwa is an initiative set up by the Department of Work and Pensions to help people who are out of work develop new skills by combining formal learning, a work experience placement lasting a number of weeks and a guaranteed interview or help to apply for vacancies in the sector. The sbwa at Sanctuary Grove started on 12 May for six weeks and involves eight new trainees referred and recruited locally via Jobcentre Plus. They will attend Worcester College of Technology for the formal element of the training while the practical experience will be gained on site. 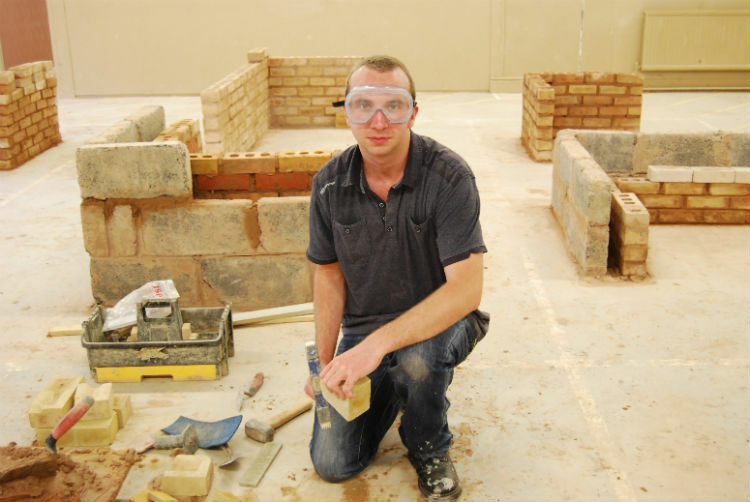 Each trainee will have the opportunity to learn specific construction skills, including carpentry and brickwork, as well as health and safety and emergency first aid skills. They will also have interview techniques and employability skills training. Sanctuary Grove, due for completion in the spring of 2015, is located near to the new St John’s House Medical Centre on the University Park site. The development forms part of a wider scheme by the university which will include a Health & Wellbeing campus, a Business and Enterprise campus and a University Learning campus.